Oslo/Paris/Rome, 29 June 2017: Italian ship owner and long-term Telemar customer d’Amico Group has selected Marlink’s Sealink Premium Plus VSAT service to enhance connectivity across its fleet of over 50 Dry Cargo and Product Tankers. Sealink Premium Plus provides reliable global connectivity for d’Amico’s business and vessel operations, in addition to supporting crew welfare. With Sealink Premium Plus, the d’Amico fleet will benefit from a guaranteed Committed Information Rate (CIR) and completely unlimited Ku-band VSAT data in parallel to unlimited L-band back-up, for a single, fixed monthly fee. The package also includes the innovative XChange centralised IT and communications management system to ensure seamless access to Marlink’s extensive global network and easy administration, in addition to automatic switching to the L-band back-up system for seamless connectivity regardless of the coverage available in any area. D’Amico has selected the Universal Remote Access service, a unique XChange function that enables a direct connection to a vessel’s network, supporting streamlined and more effective ITC support from shore via a single, secure point of access. 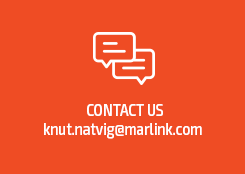 The company will also have access to Portal360, Marlink’s free, flexible and 24/7 online management tool, which provides direct access to critical information including account and subscription, electronic invoices and service usage, enabling d’Amico to proactively and efficiently manage Sealink VSAT and all solutions. D’Amico Group is a long term customer of Telemar. Founded in 1952, d’Amico manages one of the largest Dry Cargo and Product Tankers fleets worldwide. With offices in over 10 maritime and financial centres, the Group has over 350 ashore employees and over 3000 seafarers on board its vessels. “Sealink Premium Plus provides complete freedom for d’Amico to introduce more digitalisation into its operations and improve its communication facilities for crew, while our Value Added Services will help them to manage, and make best use of their new high level, unlimited connectivity,” said Tore Morten Olsen, President Maritime, Marlink.